ST. JOHN’S, Antigua (CNS) — After Hurricane Irma decimated the Caribbean island of Barbuda, Bishop Gabriel Malzaire, president of the Antilles bishops’ conference, said the country should be given a break from paying its debts while it rebuilds after the storm. Bishop Malzaire’s position is simple: Small governments trying to recover after disasters should spend their limited resources on rebuilding schools, hospitals, roads and homes. Repaying lenders should be put on hold. It didn’t take long for Bishop Malzaire’s prediction about the next big storm to prove correct: Less than a week later, Hurricane Maria destroyed his island, Dominica, killing at least 26, ripping apart homes, and flattening government buildings. It was the second Category 5 storm to hit the Caribbean in September. In the wake of one of the most disastrous hurricane seasons in history, the proposal to cancel or restructure debts for small islands has gained new traction, propelled by Catholic leaders, religious charities and Caribbean politicians trying to rebuild after hurricanes that caused billions of dollars in damage. International lenders, including the IMF and World Bank, and private creditors have not formally adopted the measures. But the idea has gained endorsements from a wide array of world leaders, from billionaire Virgin Group founder Richard Branson to Cardinal Daniel N. DiNardo, president of the U.S. bishops’ conference. Even before the storms, the Caribbean was among the most indebted regions in the world, with several governments owing more than the value of their gross domestic product. Puerto Rico entered a bankruptcy-like process in May when it could no longer keep up with payments on its $123 billion in debt and pension obligations. Neighboring U.S. Virgin Islands, made up of three islands and just over 100,000 people, owes billions from years of borrowing. 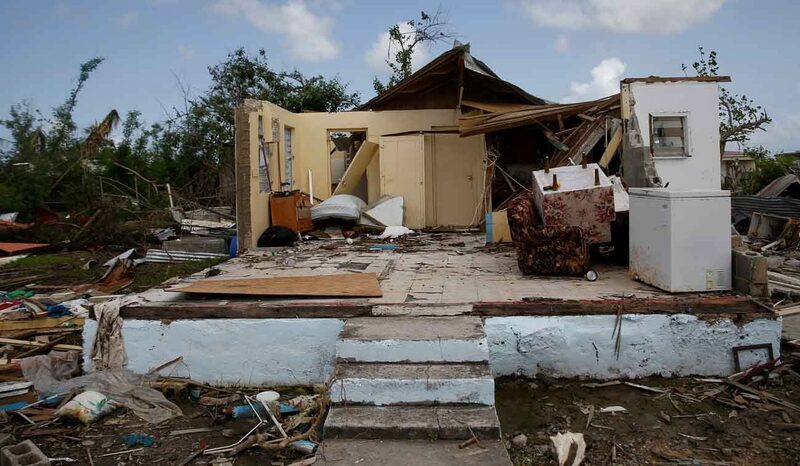 Both U.S. territories saw extensive damage from the hurricanes. San Juan Archbishop Roberto Gonzalez Nieves and Bishop Herbert Bevard of St. Thomas will travel to Washington in early November to address Congress on the need for long-term aid to help rebuild as well as the importance of debt relief. On smaller islands that were wiped out by the hurricanes, including Dominica and Antigua and Barbuda, governments are facing whether to spend money on recovery or keep up with debt payments. “There is going to be the need for a tremendous amount of funds to rebuild these islands,” said Bishop Robert Llanos, apostolic administrator of the Diocese of St. John’s-Basseterre. Bishop Llanos, whose diocese includes Antigua and Barbuda and the British Virgin Islands, said governments are planning to rebuild with an eye on preparing their islands for future major storms. Eric LeCompte, executive director of Jubilee USA, a Washington-based charity working with religious organizations to push for debt relief, said the additional costs of rebuilding more safely put governments in a bind: If they miss debt payments, their credit scores could be negatively affected, making it more difficult and costly to borrow in the future. Alternatively, they could be forced to borrow more from private lenders. “Putting these governments further into debt is the last thing we want to happen,” LeCompte told Catholic News Service. Under the debt relief plans that have been promoted, the countries would not be penalized for missing payments. Islands could also be made eligible for low-interest loans, LeCompte said. “Debt relief is the most direct and efficient way of freeing funds for these governments to respond to the human needs on the ground,” he said. PREVIOUS: Children in hurricane-hit Texas, Puerto Rico ask pope, Why?